For generations, historians of the right, left, and center have all debated the best way to understand V. I. Lenin’s role in shaping the Bolshevik party in the years leading up to the Russian Revolution. At their worst, these studies locate his influence in the forcefulness of his personality. At their best, they show how Lenin moved other Bolsheviks through patient argument and political debate. Yet remarkably few have attempted to document the ways his ideas changed, or how they were in turn shaped by the party he played such a central role in building. In this thorough, concise, and accessible introduction to Lenin’s theory and practice of revolutionary politics, Paul Le Blanc gives a vibrant sense of the historical context of the socialist movement (in Russia and abroad) from which Lenin’s ideas about revolutionary organization spring. 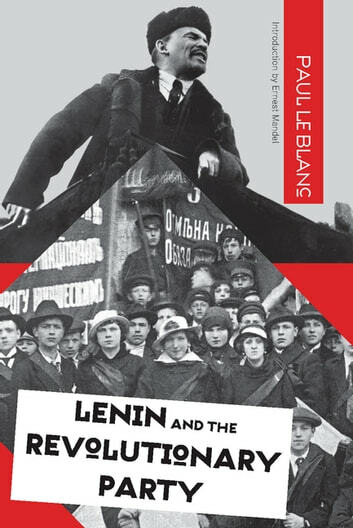 What emerges from Le Blanc’s partisan yet measured account is an image of a collaborative, ever adaptive, and dynamically engaged network of revolutionary activists who formed the core of the Bolshevik party.